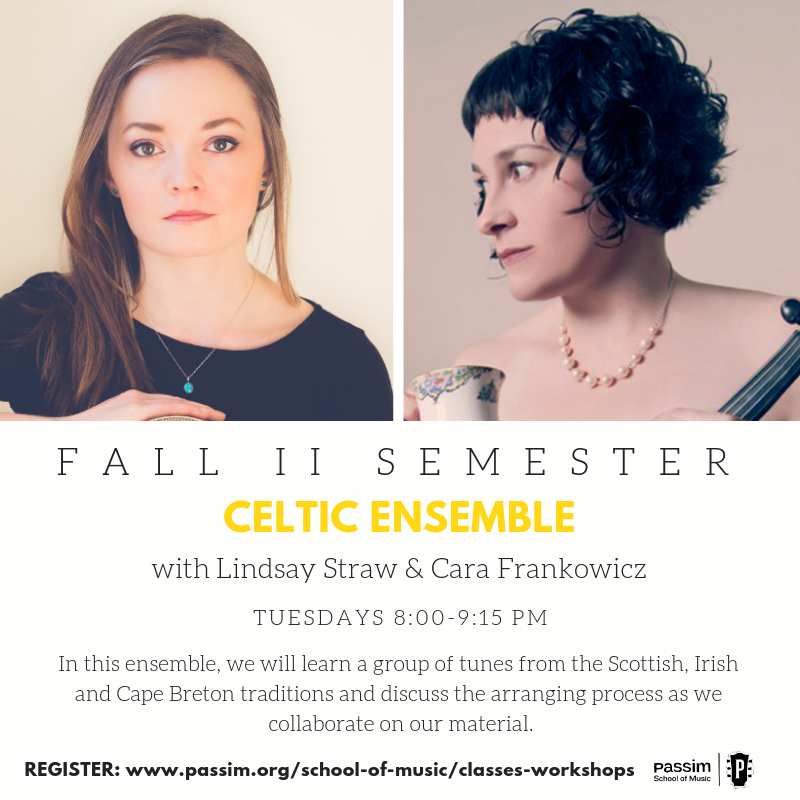 I’m excited to be co-leading the Passim School Celtic Ensemble with fiddler Cara Frankowicz this fall! Join us for the Fall II 6-class session from Nov-Dec 2018, or the Winter I session Jan-Feb 2019. This class meets at 8:00-9:15pm on Tuesdays starting Nov. 6 (Fall II) and Jan 8 (Winter I).